Hands-On Ensemble Learning with R begins with the important statistical resampling methods. 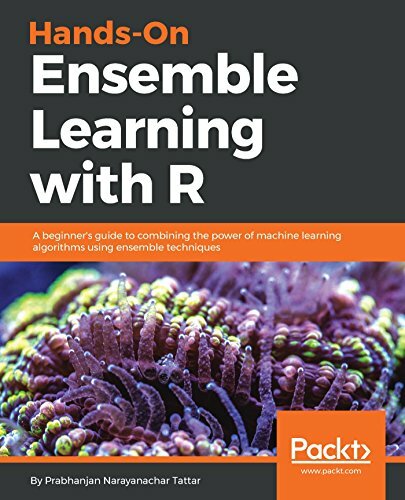 You will then walk through the central trilogy of ensemble techniques - bagging, random forest, and boosting - then you'll learn how they can be used to provide greater accuracy on large datasets using popular R packages. You will learn how to combine model predictions using different machine learning algorithms to build ensemble models. In addition to this, you will explore how to improve the performance of your ensemble models. This book is for you if you are a data scientist or machine learning developer who wants to implement machine learning techniques by building ensemble models with the power of R. You will learn how to combine different machine learning algorithms to perform efficient data processing. Basic knowledge of machine learning techniques and programming knowledge of R would be an added advantage.